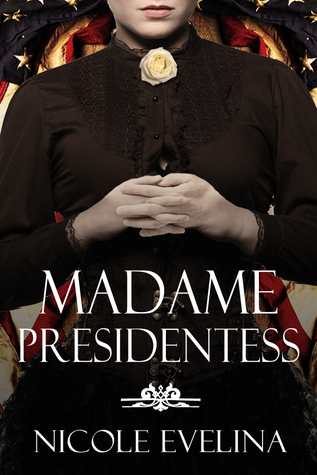 Goodreads: Forty-eight years before women were granted the right to vote, one woman dared to run for President of the United States, yet her name has been virtually written out of the history books. Kritters Thoughts: A book that takes place before women can vote and before women really had a say in their own futures beyond being a good wife and mother. This book takes our society back in time when women were helpmates and that was the goal in life. My how times have changed and I am so thankful! Bare with me as I am a book blogger and that is where I will always be, but it was very interesting to read this book in the life and times that we are having now as the election nears us. I don't care how you will vote, but as a female it is at least interesting to see a female in the race backed by a major party. This book reminded me how it wasn't too long ago that women were given a voice via a ballot and the power that that voice is. I am so glad I was able to vote in this election whether it was for a female or not, just being able to vote is a privilege that I will no longer take for granted. Last Thursday, I reviewed a book called The Lost Diaries of Elizabeth Cady Stanton by Sarah Bates and I was excited to see her make an appearance in this book. I love when my reading intertangles and "characters" or people from one book pop up in another! I hope that Nicole Evelina tackles another time and place in history and I can't wait to see what it could be. I will be on the lookout for what is coming from her next. This book certainly does seem very timely!